This is Openhand's Chakra Opening and Attunment Meditation, which has been adapated from the ancient Kriya Yoga and frequently used during Openhand's courses and events. It applies breathing and relaxation to bring awareness to the chakras, to open and attune them for greater authenticity and alignment in life, through the choices that you make from relationships to careers and general living circumstances. Lots of people have been asking about this. It's Openhand's meditation for opening and attuning the chakras that we apply frequently on our courses and gatherings. 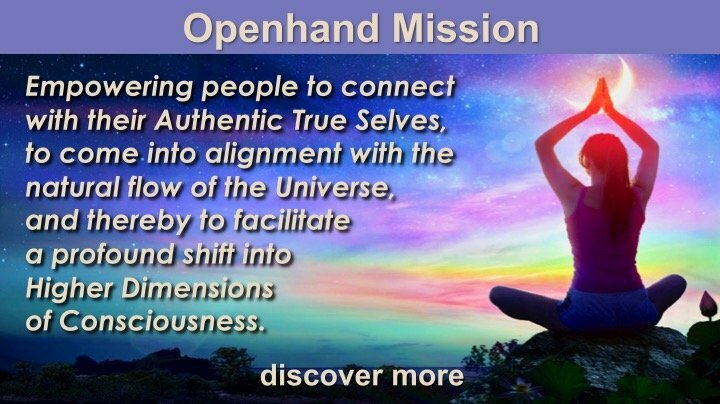 Having been initiated into the ancient Kriya Yoga of the Yogananda & Babaji lineage, I found this meditation of particular value, and felt to adapt it for Openhanders as a means of infusing soul to gain greater alignment and authenticity in life. It has proved to be exceptionally transformational over the years. I wish you all well with it. I have been doing this meditation almost daily and I really enjoy it. Thanks for making it available online.